The accessibility and wide range of amazing activities available at comparatively affordable rates has made Costa Rica a popular tourist destination for people from all over the world. And due to the lower cost of living, agreeable climate, abundance of natural beauty, and friendly Ticos, an increasing number of retirees and expats are happily living in Costa Rica. The cost of travel in Costa Rica is high relative to other Central American countries like Guatemala and Nicaragua. US dollars are widely accepted in popular tourist areas. Quite a few businesses will only accept cash. Most ATMs give you the option to conduct your transaction in English or Spanish as well as the option to withdraw Costa Rican Colones or United States Dollars. Most will accept international checking and credit cards, though the maximum withdrawal amount allowed will vary between 20 to 30 bills at a time due to the size constraints of the cash dispensary slot. In order to avoid being restricted by this, ask your bank or credit card company if they allow multiple withdrawals from the same ATM within minutes of each other. Accommodations in Costa Rica range from cheap hostel dorm beds to 5-star luxury resorts. In the middle, there’s a wide range of budget hotels, smaller affordable resorts, themed hotels, as well as short term room and apartment rentals. Room rates are higher during the high season, or summer, generally November – June. Most hostels and hotels have internet access and Wi-Fi. Internet quality and availability varies depending on the weather and the service provider’s maintenance schedule. There can be frequent downtimes or periods of extremely slow internet speeds. Typical Costa Rican food can be a bargain when bought from sodas (Costa Rica’s version of a diner) located off of the main streets in high traffic tourist areas. The quality from restaurant to restaurant can vary wildly so it’s a good idea to ask for some recommendations before you choose a place to dine. All restaurants in Costa Rica add a 13% sales tax (impuesto de ventas) plus 10% service tax (impuesto de servicios). This is not usually included in the price you see listed in the menu, but if it is, you will see a note at the top of the menu or the price listed with i.i. next to it (e.g. 3,500 i.i.). Buffets and fast food restaurants do not charge these extra taxes or list prices that already include them. Want to bundle meals, accommodation + tours? Book one of these G adventures trips! If you had good service, it is polite to add an extra 5 or 10% to the 10% service tax that is already included in your restaurant or bar tab. 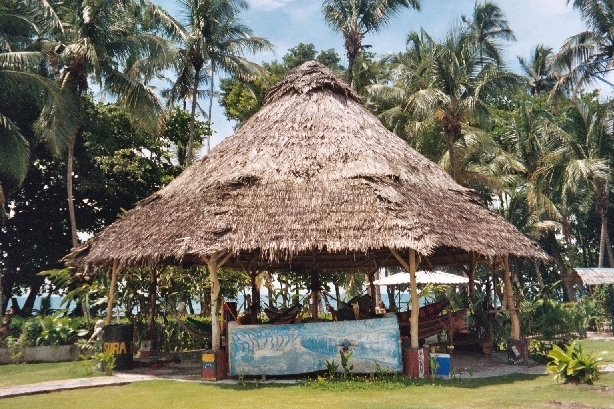 It does not cost anything to go to a bar in Costa Rica, but most clubs have a cover charge of $5 to $15. 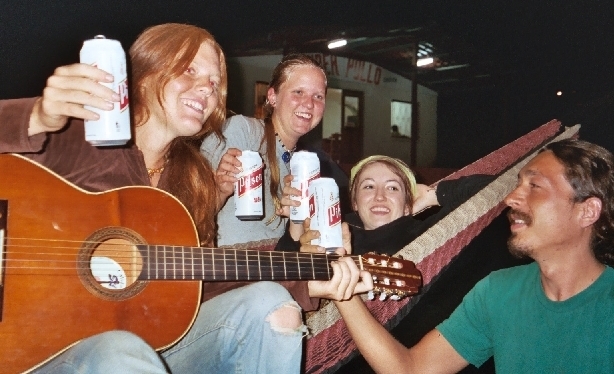 The cheapest way to drink in Costa Rica is to purchase the domestic beer (e.g. Imperial or Pilsen) or liquor (e.g. Guaro) from a convenience store and hang out on the beach. Drinking in public is legal in Costa Rica, and even in a car unless you are the driver. 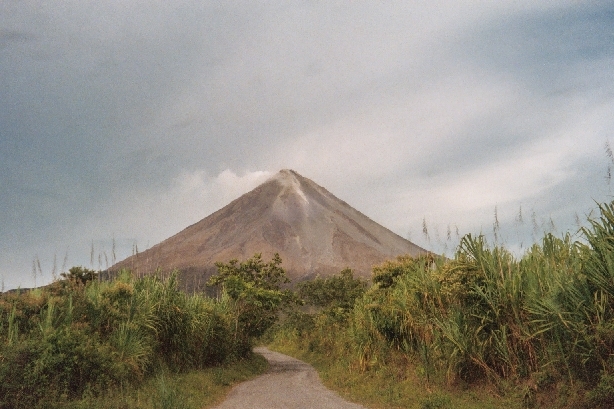 Costa Rica has a plethora of transportation options connecting all the cities, pueblos and major points of interest. You can get anywhere in Costa Rica by bus, taxi, public or private shuttle service, train, or domestic flight. Want to bundle transportation, hostels + tours? Book one of these G adventures trips! 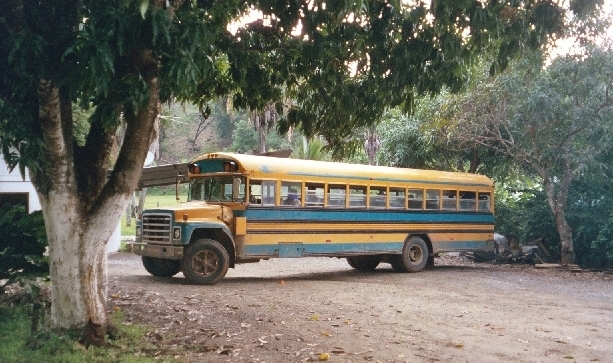 Bus: 150 – 15,000 CRC ($0.30 – $30) – Costa Rican buses will take you down the street, to the borders, or anywhere in between. They are open to the public, but each terminal is privately owned, which is why there is no consistency among the look or style of the buses. Rental Car: The system for renting a car in Costa Rica is slightly different from renting a vehicle in the United States or Canada and can be very confusing. The quoted price can more than double after the fees and insurances are added, so when asking for a quote, make sure to ask for the TOTAL cost per day, including ALL extra fees and insurances. Take a copy of your quote with you to the rental agency when you pick the vehicle up. The second thing that will definitely throw you for a loop is when the rental agency asks you to sign a credit card voucher for an amount between $500 – $1500 (USD). WHAT?! This is a deposit in case you damage the vehicle and will be used as a sort of deductible for repairs unless you have collision insurance through your credit card. Rental car costs vary depending on the type and size of the vehicle and begin at 20,000 CRC ($40) per day including fees and insurances. A gallon of gas in mid 2011 costs 2,854 CRC ($5.66). Domestic Flight: Nature Air and Sansa are the most popular domestic airlines in Costa Rica. You can easily catch a one way, non stop flight to a number of major cities in Costa Rica as well as to Panama and Nicaragua. Tickets for flights between major cities within Costa Rica can often be purchased on short notice for as little as 17,500 CRC ($35). A ton of carriers fly international routes to/from Costa Rica. You are required to have an onward or return ticket to enter the country and this will most likely be checked before you are allowed to board the plane at your departure airport. In the past, cheap flights on Spirit Airlines have been available from Florida to San Jose for as little as $190, including taxes. It’s important to note that there is a $26 departure tax on all international flights leaving Costa Rica and this is not included in your ticket purchase. If you pay this tax at the airport, it will be charged as a cash withdrawal, so keep that in mind if you choose to pay with a credit card. National Museum in San Jose: 4,000 CRC ($8) for foreigners or 2,000 CRC ($4) for foreign students with student ID card. Closed on Mondays. The cost of travel in Costa Rica is higher than other Central American countries, but can be kept to a reasonable rate if you stay off of the main drag of the touristy areas while dining or lodging. Activities and attractions can be discounted when purchased in packages. Remember that Costa Rica does not have a military, so a large portion of your tourist dollars are going towards preserving the natural environment and education.